HO, Ghana – I spotted, among the job listings in the newspaper The Ghanaian Times, an ad from a restaurant in Accra looking to hire dishwashers. The requirement: a junior secondary school certificate (BECE). Years ago, during Nkrumah’s Ghana, school was probably not for everyone. Classrooms were the places for discipline and study. Teachers were respected figures in our communities especially our villages. Parents actually gave teachers, headmasters, headmistresses and pastors permission to punish their children by slapping them or tugging their ears. But at least in those days, schools aimed to offer a more dignified life. Nowadays more children attend school than ever before, but they learn much less. They learn almost nothing. The proportion of the Ghanaian population that is literate is going up, but in absolute numbers, there are more illiterate people in Ghana now than there were 12 years ago. Even if baseline literacy, the ability to read a street sign or news bulletin, is rising, the practice of reading an actual book is not. Once a reasonably well-educated country under Nkrumah’s legacy, Ghana took a formidable spot, out of 108 countries, in a Unesco assessment of reading habits years ago. Despite recent gains in industrial development and increasing numbers of engineering graduates, if that’s something to write home about, Ghana is floundering socially, politically and economically because so many of its citizens do not read. Upon taking office in January, our new president, John Mahama, immediately announced a program to improve education. This is typical. All presidents do this upon taking office. The first step in his plan to improve education? Nothing! His predecessor, John Atta Mills’ attempt at improving education? Pay soldiers and the police much more than teachers and still expect talented young Ghanaians to want to teach or stay teachers. There’s Absolutely no incentive for Ghanaians who love to teach to consider the prefession as a viable alternative to a much more lucrative profession. But education reform with a focus on stalling teachers’ pay and incentives instead of ways to force and encourage students to learn is nothing new. For many years now, the job of the education secretary has been not to educate Ghanaians but to deal with the teachers and their labor issues. Nobody in Ghana organizes as many strikes as the teachers’ union. And, sadly, many headteachers, who often buy or inherit their jobs, are lacking in education themselves. There are many brilliant teachers laboring under the academic horrors that some headteachers are. During a strike some years ago in Accra, I remember walking through the temporary campground in search of a teacher reading a book. Among tens of thousands, I found not very many. I did find people listening to disco-decibel music, watching television, playing cards or dominoes, vegetating. I saw some gossip magazines, too. So I shouldn’t have been surprised by the response when I spoke at a recent event for promoting reading for an audience of 1200 or so 14- and 15-year-old senior secondary school students. “Who likes to read?” I asked. Only one hand went up in the auditorium. I picked out five of the ignorant majority and asked them to tell me why they didn’t like reading. The result was predictable: they stuttered, grumbled, grew impatient. None was able to articulate a sentence, express an idea. Frustrated, I told the audience to just leave the auditorium and go look for a book to read. One of their teachers walked up to me, very concerned. “We still have 40 minutes left,” he said. He asked the kids to sit down again, and began to tell them a fable about a plant that couldn’t decide if it wanted to be a flower or a head of cabbage. In the years during the great Nkrumah, Ghana began a national reading plan; he chose spokespersons – popular soccer players and famous individuals – ordered millions of books printed and built an immense library. Unfortunately, children were not given time for reading in school. The plan focused on teacher and the book instead of the reader. I have seen warehouses filled with hundreds of thousands of forgotten books, intended for schools and libraries, simply waiting for the dust and humidity to render them garbage. Even worse, some miscreants steal and sell government books on the private market – books that are meant for some of the poorest schools in the country. How detestable? She explained the difference between knowing how to read and actually reading, between deciphering street signs and accessing the literary canon. She wondered what the point of the students’ reading “Akwaaba, Labadi Beach” was. She said we needed to teach kids to read the newspaper. When my niece was 15, her literature teacher banished all fiction from her classroom. “We’re going to read history and biology textbooks,” she said, “because that way you’ll read and learn at the same time.” In our schools, children are being taught what is easy to teach rather than what they need to learn. It is for this reason that in Ghana — and many other countries — the humanities have been pushed aside. We have turned schools into factories that churn out employees. And in Ghana, not even that. These graduates are not employable and God knows they cannot start a business if you handed them a million dollars with God’s divine blessing. With no intellectual challenges, students can advance from one level to the next as long as they attend class and surrender to their teachers. In this light it is natural that in secondary schools and our universites we are training chauffeurs, waiters and dishwashers clad in the ego of an engineering suit. This is not just about better funding. 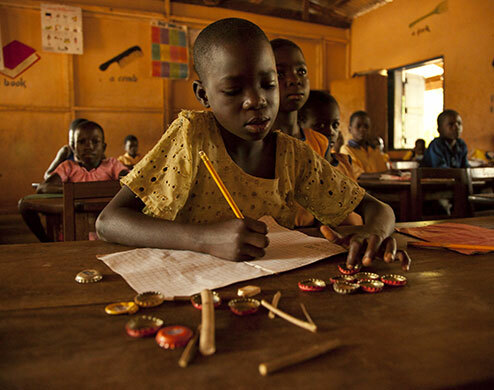 Ghana spends more than 5 percent of its gross domestic product on education — about the same percentage as the United States. And it’s not about pedagogical theories and new techniques that look for shortcuts. The educational machine does not need fine-tuning; it needs a complete change of direction. It needs to make students read, read and read. But perhaps the Ghanaian government is not ready for its people to be truly educated. We know that books give people ambitions, expectations, a sense of dignity. If tomorrow we were to wake up as educated as the Norwegians and the Finnish, the streets would be filled with indignant citizens and our frightened government would be asking itself where these people got more than a dishwasher’s training. Are you talking about Ghana – a country that never read?? The educational machine does not need fine – tuning; it needs a complete change of direction.